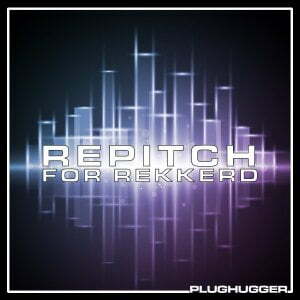 The post Boom Boutique Basic Rhythm: Download 60 FREE 808 Bass samples appeared first on rekkerd.org. Peak, in case you missed it, has been one of the more compelling new synths in recent years. Novation designed a unique-sounding 8-voice polysynth, melding digital wavetable oscillators with analog processing, per-voice filtering and all-important distortion all over the place. As with other Novation products, they’ve also been adding features in frequent firmware updates, listening to users in the process. Hello CDM:) I am a sound designer and electronic musician based in Portland, Oregon. I am one of the official sound designers for the Novation Peak synthesizer and just made a sound pack of 50 patches for their firmware update launch. My soundpack is available for free through Novation’s Components App. I created a recording demonstrating my patches in a musical/artistic way. Patricia playing live in Seattle for Further Records. Photo Valerie Ann/DJ Explorateur, framed by video art live by Leo Mayberry. This recording is a demonstration of the sound design work I did for the Novation Peak. I created 50 patches demonstrating some of the new features that the v1.2 firmware update has to offer. My sound pack is available for free with the update through Novation’s Components App. Select the Novation tab on that app to access them as well as GForce Software’s free patches. The patches are performed with a mixture of Octatrack sequencing (using sequences from songs I have written) and live performance with a MIDI controller. I was inspired by artists like Delia Derbyshire and wanted to record little vignettes and sonatas using the Peak without other sound sources. I made this recording so that friends can hear the sounds I made and so that other Peak users can get a closer glimpse into how I envision sound design. The Novation Peak was recorded directly into a Steinberg UR44 interface. No external effects. Subtle mastering from Tokyo Dawn Labs software to balance recordings of different patches. 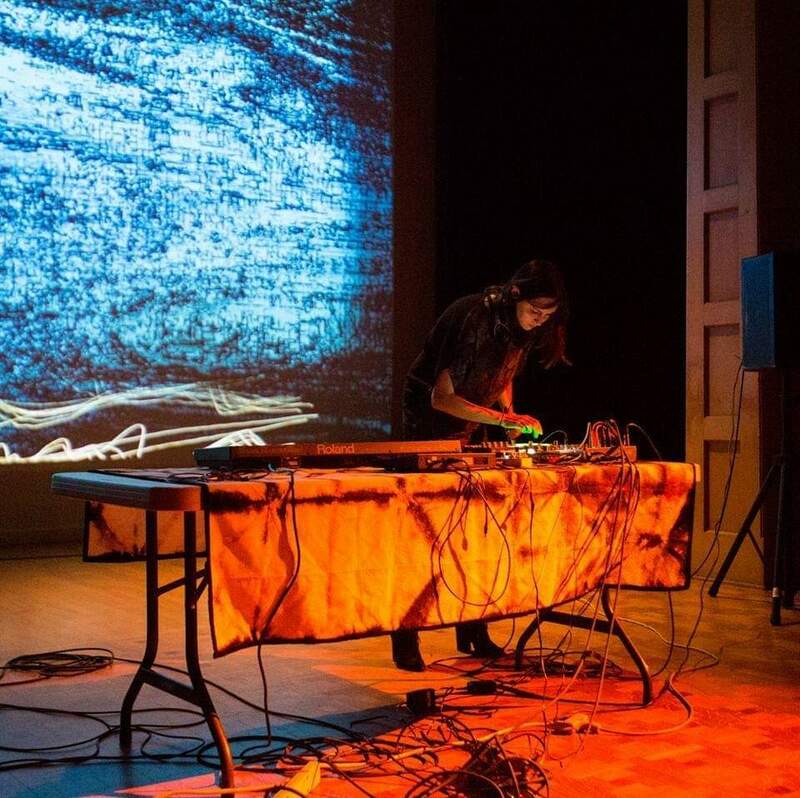 Patricia Wolf is an electronic musician, sound designer, and gallery curator based in Portland, Oregon. After years of working in the synth pop duo Soft Metals, Wolf became interested in exploring non-linear songwriting and new forms of synthesis. Alongside working with Novation, Wolf co-founded the gallery Variform which focuses on sound design and modern composition. Patricia Wolf is a recipient of the Precipice Fund, a grant funded by the Andy Warhol Foundation for the Visual Arts, to explore synthesis in the contemporary art world. The post Explore sonic inspiration, via this artist’s approach to Novation’s Peak 1.2 appeared first on CDM Create Digital Music. Novation Peak 1.2 Synthesizer Update – Sehr viel Neues und 43 neue Wavetables! The post Boom Boutique Transistor Kicks: Download 50 FREE kick drums appeared first on rekkerd.org. The musical climate in which we live can too easily be afflicted with conformity, with genres and trends regimented by algorithms and anxious aspirations of bookers, media, artists … the lot. And with Berghain as the elephant in the middle of Berlin’s scene, that conformity can often be associated with the club, with Berlin, with Germany and Europe, even. So maybe the first important thing to say about Andi’s mix is that it’s a mix. Run down the track listing, and you get all kinds of corners of Andi’s taste. I know he sweated putting this together, but as it is with experienced DJs, that stress comes off as effortless. Despite all those times on the lineup, in the old party mode, Andi’s not really a star. There’s just that feeling of being at home when you walk into a room (or garden) with him playing. And he can mix in and out of anything. So while a lot of beginning DJs try to show off with obscure tracks but paint obsessively within the lines, like they’re afraid of each transition, you can count on Andi to take you different places. 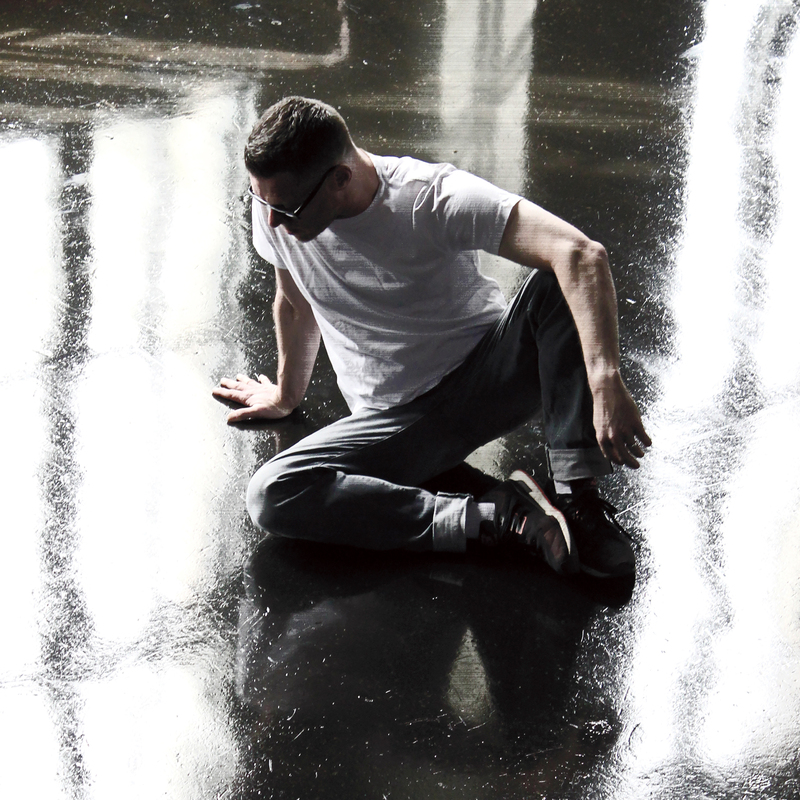 He’s a DJ’s DJ, but he’s also a great producer – his ongoing collaboration with fellower Berghain resident Sam Barker has been imaginative and exceptional. Anyway, I think for any of us involved in production – let alone those of us pouring over music tech – getting to actually listen again and set a mood is vital. And Andi’s latest mix puts me at least in a fantastically nice mood. I’m hugely biased myself not just about Andi but about music in general; I think whether it’s a track or a mix, you can’t separate people from music. I still stubbornly cling to the idea that music says something about who you are. Hell, I think it’s why it matters who’s in the DJ booth. And it’s certainly why I think that mood should come from people and not algorithms. I not only like humans; I think you can hear when humans touch the music. That Duplex track is especially timeless, somehow, and Dave Aju is always like a burst of sunlight. Photo: Lee Wagstaff, courtesy Ostgut Ton. The post Download a free two-hour Panorama Bar mix from nd_baumecker appeared first on CDM Create Digital Music. Hardware like Ableton’s Push lets you play Live with your fingers – but what about your feet? (Ableton Sole?) And what about looping? Pierre-Antoine Grison, Ableton Certified Trainer and producer/musician signed to Ed Banger Records, has come up with his own solution – just in time to show it this weekend at Ableton’s aptly-titled Loop “summit for music makers.” “State Of The Loop” is a custom MIDI controller for Ableton Live’s built-in Looper device. 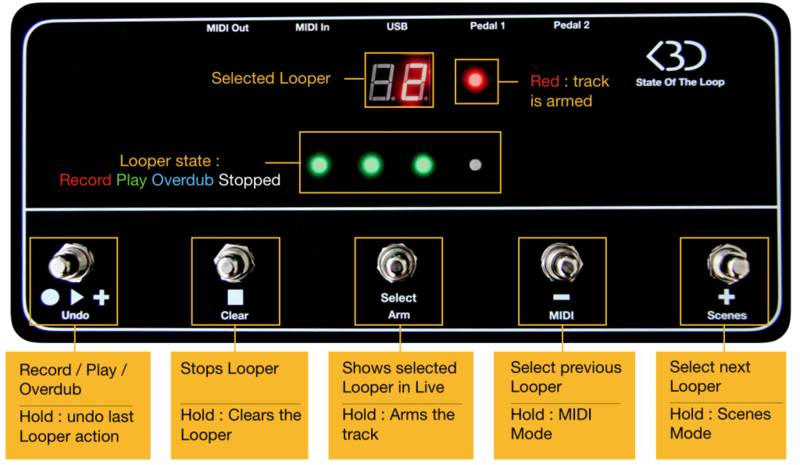 The stomp-style hardware controls not only the Looper device itself but also scenes. So it works for both controlling entire sets and for pedal-style looping, and you can use multiple (software) loopers so you can layer using different on-screen devices. Unlimited number of loopers ! You can use that download as long as you have a compatible version of Live and Max for Live; no hardware needed. Pricing starts at 240EUR for an “early bird” price, 260EUR after that. (There’s also a 350EUR limited edition still available as I write this). The post Ableton Live Looping gets its own custom controller appeared first on CDM Create Digital Music.